In a global economy workers everywhere deserve high safety standards in the workplace, without sacrificing job security. In fast-paced and low-wage environments, workers often fear losing their jobs if they report poor working conditions. 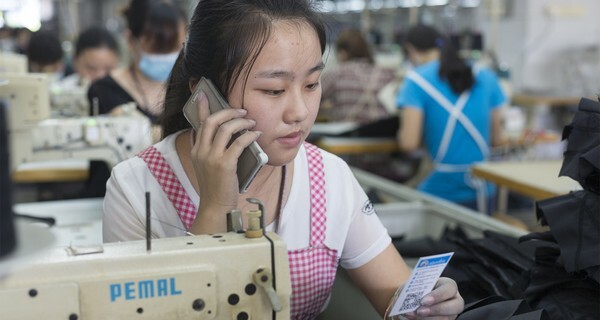 Labor Link is leveraging the spread of mobile technology to protect the rights and quality of life for the factory workers who make our clothes and electronics. It is a mobile tool that creates a two-way communication channel for real-time transparency. The process is simple: workers use text messages to provide anonymous answers to surveys that measure the quality of their working conditions. Workers are given the opportunity to voice their opinions and companies are getting visibility into what’s happening in their supply chains every day. Unlike in-person interviews where workers can be coached, with mobile, workers can respond outside the workplace, at a time that’s convenient for them. Right now, workers in 16 countries use Labor Link to access information that improves their lives and their communities. Over 300,000 workers have been reached so far, capturing over a million data points on workplace safety, working hours, sexual harassment and related topics. With participation rates at 40%, companies are able to use this feedback to align their business practices with worker needs. In this age of transparency, companies know that the only way to avoid reputational damage from poor supply chain working conditions is to measurably improve conditions. By 2018, Labor Link aims to impact more than 1 million workers around the world. They’ve partnered with a number of multinationals not content with the status quo, and are looking for more. If you know a company looking to transform or monitor their supply chain, ask them to get in touch through the Labor Link website. Image courtesy of Labor Link.